The Court of Appeal has reversed a ruling that held a solicitors’ firm caught up in a mortgage fraud liable for the loss after being tricked by a bogus practice. The High Court had ruled that Davisons Solicitors in Birmingham had to repay £184,500 to the Nationwide Building Society, but the appeal court said yesterday that while the firm had committed a breach of trust in releasing funds before obtaining a fully enforceable legal charge, it should be excused and relieved of liability for it. The bogus office of a legitimate practice was listed on the Law Society’s ‘Find a Solicitor’ website and on Solicitors Regulation Authority (SRA) records, an error compounded by the latter’s failure to act for around four months after being notified of the deception, during which time Davisons checked on its bona fides. Giving judgment yesterday in Davisons Solicitors v Nationwide Building Society  EWCA Civ 1626, the Chancellor of the High Court Sir Andrew Morritt, sitting with Lord Justices Sulllivan and Munby, found that Davisons had acted honestly and reasonably. 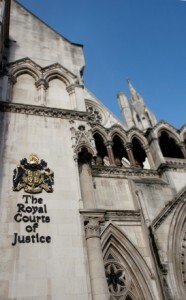 The lower court had said Davisons should have obtained an express undertaking to discharge the existing mortgage on completion, rather than relying on replies to requisitions that the mortgage would be redeemed, and also confirmation the bogus firm would follow the Law Society’s code for completion by post. However, Sir Andrew said: “The loss sustained by Nationwide was caused by the fraud of an unconnected third party. Even if Davisons had insisted… on separate written undertakings it is probable that the impostor would have complied, the matter would have proceeded to apparent completion by post and the impostor would have disappeared with the balance of the purchase money. The Court of Appeal added that there was no breach of retainer, saying the contractual obligations imposed on Davisons by the CML Handbook were not strict. They were obligations of skill and care only. Sir Andrew also revealed that he had rejected an application from the Law Society to intervene in the case. He said the circumstances surrounding the bogus firm’s appearance on the society’s and SRA’s record “might give rise to claims against them in relation to the subject matter of this appeal”. Gary Davison, managing director of Davisons, told Legal Futures he was “absolutely delighted” by the judgment. “I feel it’s a full vindication of the way we conducted ourselves.” The ruling is a “cautionary tale for the whole profession”, he added, because despite acting “perfectly reasonably and properly”, his firm was held in breach of trust. Jason Nash, a partner at Berrymans Lace Mawer, which acted for Davisons, said: “This decision should be welcomed by defendants and insurers. Whilst findings of breach of trust may become more common, so too will relief from any consequential liability as a result of this case. Since this case the SRA have issued a bogus warning notice on the 26th March 2012 telling solicitors not to rely on the Find a Solicitor site to demonstrate that a conveyancer they are about to send money to is legitimate and genuine. I suspect when another good firm is conned they will have to go all the way to the Court of Appeal on their own facts to get s.61 relief under the Trustee Act. Given then new Bogus Wanring Notice this will be a lot harder.